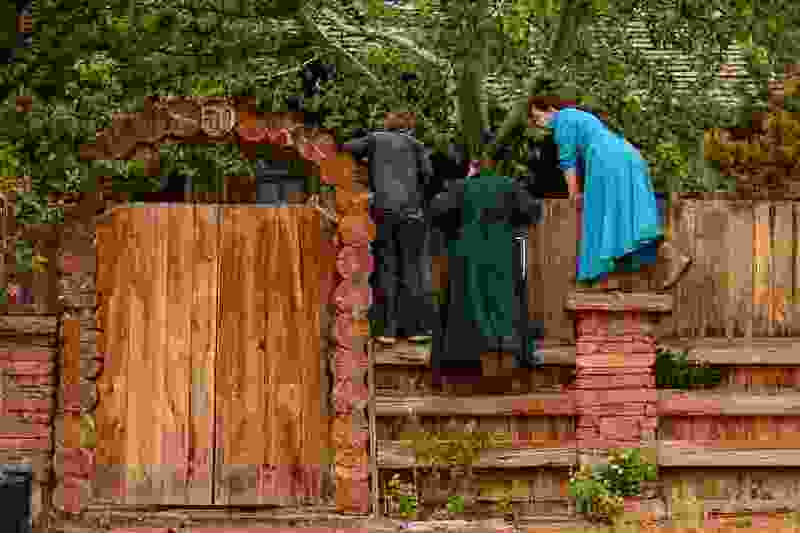 (Trent Nelson | The Salt Lake Tribune) FLDS children look over a wall as the UEP Trust has the locks changed on an FLDS home in Colorado City, AZ, Wednesday May 10, 2017. An Arizona county has approved an investigation to determine if voter fraud occurred during last year’s election where a polygamous sect kept control of a town council in a community on the Arizona-Utah border. The Mohave County Board of Supervisors voted unanimously Monday to spend $8,000 to allow a private investigator to look into allegations that people voted using addresses where they no longer live in Colorado City, Ariz. County attorney Matt Smith requested the funds to probe allegations that he says seem credible.